The off-roader – a practical rollator for an active life. 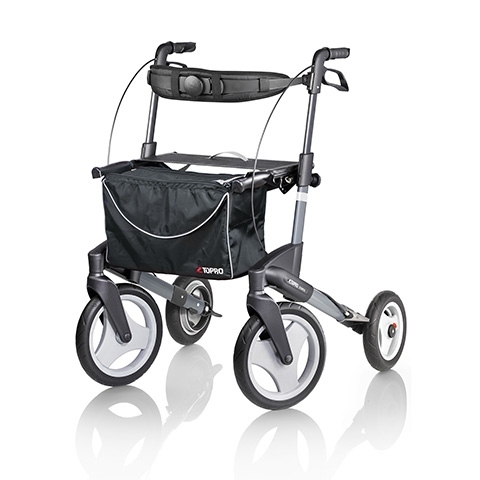 The Olympus is a premium rollator specially designed for outdoor use. It is made of materials which can withstand any kind of weather, and has large front wheels to ensure a smooth ride on uneven surfaces. The Olympos is ideal for taking on days out as it is easy to fold together and transport by car, plane or train. The Olympus has a 7-year manufacturer's warranty (excludes parts that are exposed to natural wear and tear).